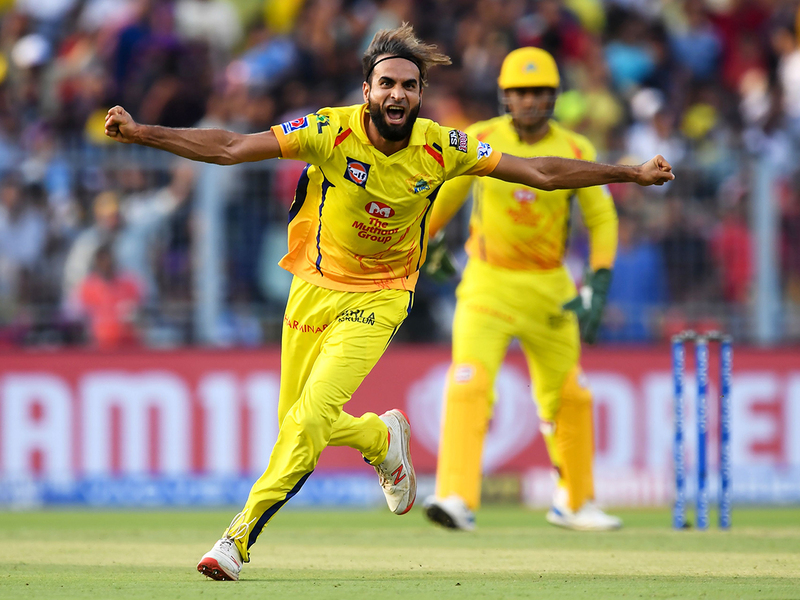 Kolkata: Imran Tahir and Suresh Raina helped Chennai Super Kings (CSK) put one foot in the playoffs as they got past Kolkata Knight Riders (KKR) by five wickets in their Indian Premier League (IPL) return leg fixture at the Eden Gardens on Sunday. Chennai needed 24 in the last two overs, but Jadeja hit Harry Gurney for a hat-trick of fours in the 19th over to bring the equation down to eight runs off six balls. Chennai lost Shane Watson (6) early with Gurney trapping him in front of the wicket. Faf du Plessis (24) was castled by Sunil Narine (2/19), who bowled a wicket maiden in the sixth over.